Mr. Jonah Dykeen Davis was born December 3, 1980, in Orangeburg County, SC to Ms. Jacqueline Davis and Mr. Darryl James. Jonah peacefully departed this earthly life on March 13, 2019 in Clinton, NC following a brief illness. At an early age, Jonah joined Antioch Baptist Church in Bowman, SC and served faithfully until his departure to NC to further his education. Jonah received his formal education in Bowman, SC and received his diploma from Bowman High School with the class of 1999. He later received a Bachelor of Science Degree in Business Administration/Management from the Illustrious Shaw University. Jonah was a scholar and athlete while playing with the CIAA championship winning Shaw Bears Football team. Jonah was a Dean’s list student and received recognition for his academic achievements. He was a member of the Student Government Association (SGA), The All Athletic Academic Team, the Shaw University Model United Nations Association, and served in the capacity as a bank campus representative for Morgan Stanley. 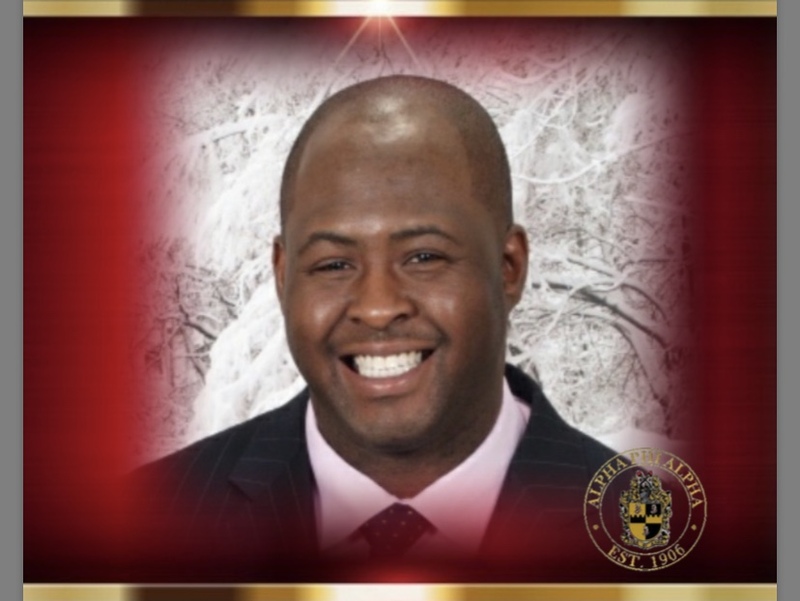 Notably, Jonah was a proud Ice Cold Brother of Alpha Phi Alpha Fraternity, Inc.
Jonah was formally employed as a Sales Manager for PPG Architectural Coatings, in Fayetteville, NC and a Territory Sales Manager for R.J. Tobacco Company in Fayetteville, NC. Immediately preceding his passing, Jonah was employed as a sales representative for Clayton Homes Company, Clayton, NC. In 2011 Jonah married Angela Brown and to this union was the birth of their precious son Ethan Dykeen Davis. Jonah was preceded in death by his maternal grandparents, Mr. John (Wilma) Turkvant and his paternal grandmother Mrs. Claudia Guinyard and two uncles John and Adam Turkvant. Those left to cherish his fond memories are his mother, Jacqueline Davis of Bowman, SC, and his father, Darryl (Sharon) James of Bronx NY, one son, Ethan Davis of Graham, N.C.; three sisters, Katina (Mark) Nelson of Lexington, SC, Latoya Davis of Brooklyn, N.Y., Kaitlyn James of Bronx, N.Y.; four nephews, Malik, Markeen, Kirk and Markaden; one niece, Marleah; a special friend, Tashina McIntee of North Carolina; one grandmother, Johnnie Cox of Brooklyn, N.Y., special uncle, Mario Neals of Minnesota; and a host of aunts, and uncles, his Fraternity Brothers, classmates and a host of other family and friends. The viewing will be held on Thursday March 21, 2019 at Glovers Funeral Home from 1:00pm until 8:00pm. The service will be held on Friday, March 22, 2019 at Antioch Baptist Church at 11:00am.